Truth bomb: this post will not contain pretty pictures. My office is still very much in progress, but today I organized my computer cords that have been driving me cray cray. My husband hates when I say "cray cray". Here are my ugly cords, bleh. 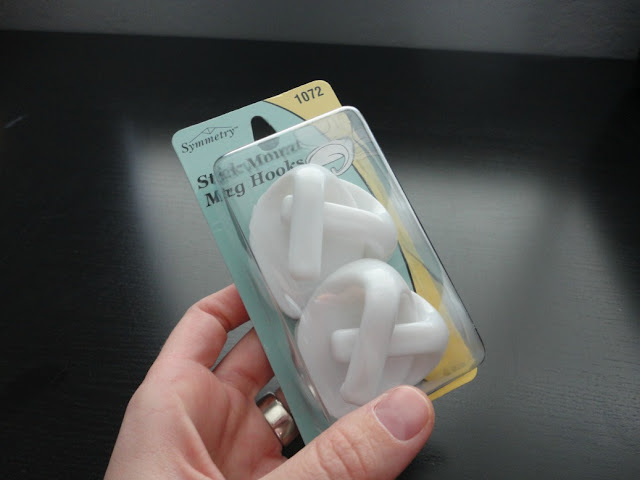 I bought some of these "Mug Hooks" at Wal-Mart for about 2 bucks. They are peel and stick. Then I stuck my hooks along the bottom of my desk like so. 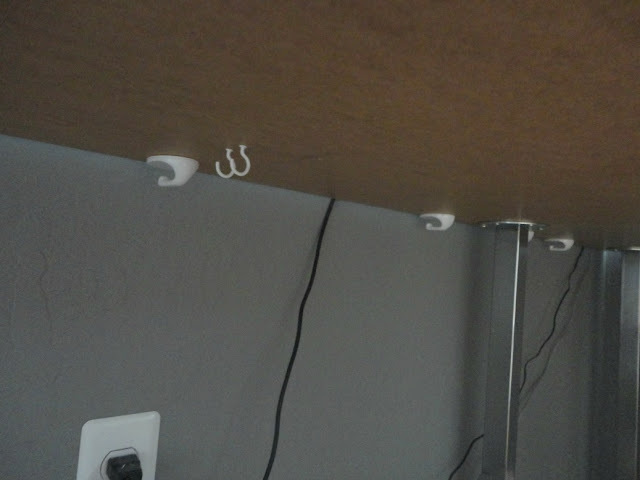 I knew the power pack to my lap top was going to be too heavy for the peel and stick hooks, so I attached two screw-in hooks to hang it on. Here's how it looked once I strung the cords through, and hung up the power pack. Genius! 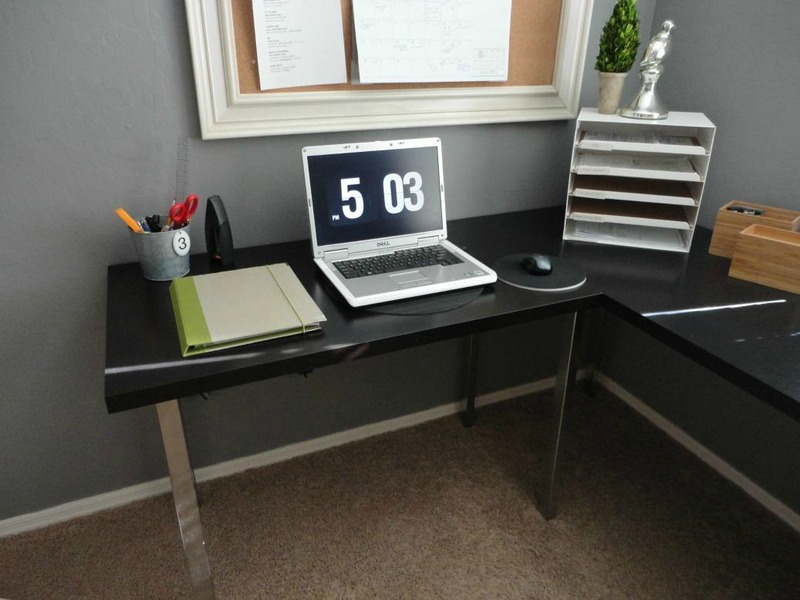 And your office looks amazing! I love that desk, I hope you didn't make it, because if you did I would have friend envy. Such a great idea! I'm loving all these new posts. Did you re-do you office? I am really liking the gray color. What is the name/brand of it? That's a very clever idea. I have so many cords I don't know where to begin, but this is definitely something I'll get for myself. That looks neat! 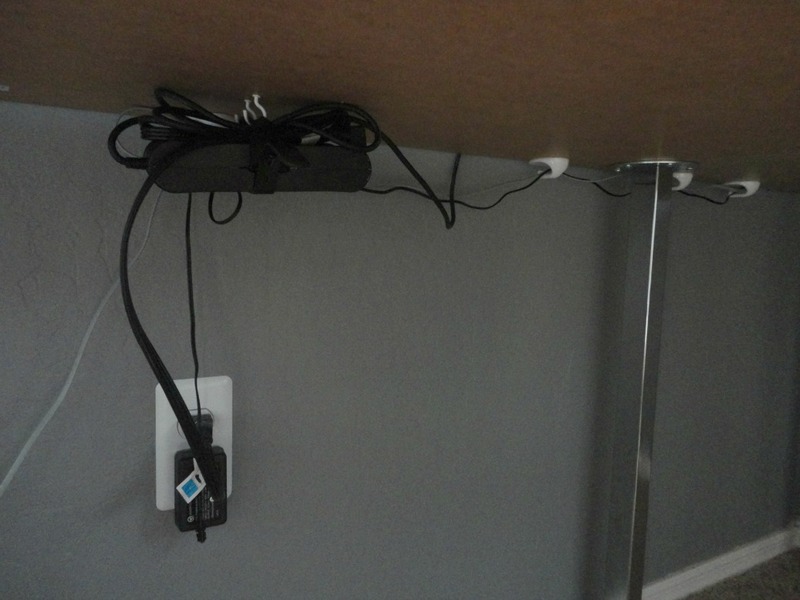 No more cords in sight. Why didn't I think of that before? Mine looks all jumbled up so I have to entangle them one by one. 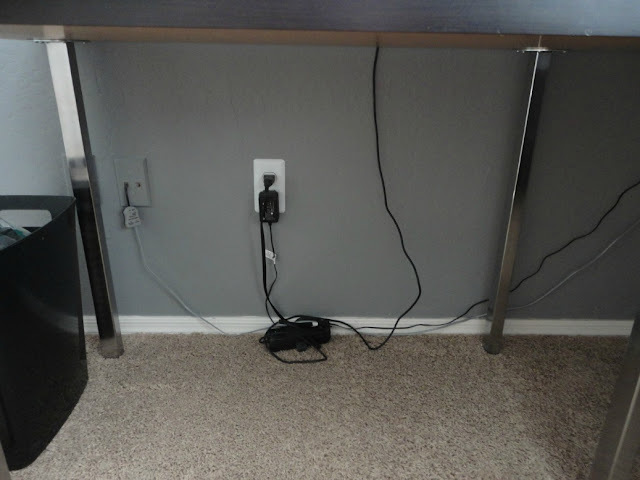 Well I also don’t like the cables and other devices of my PC to put on floor that looks messy, I will do the same to make the computer table look tidy.